I asked each of the Faith Circle ladies to make a row using the block of their choice. Rows could be as basic or intricate as they desired and should be 4, 6, or 8" in height by 48" long. To add a bit of visual interest I set two rows perpendicular to the others. 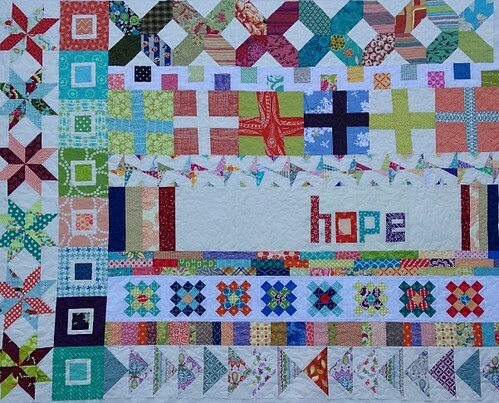 The quilting is an all-over meander except for the area around "hope." 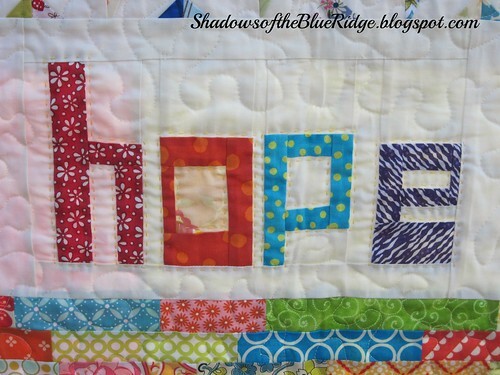 A special part of our quilt is the "hope" row. I wanted it to be quilted just a bit different so I used yellow perle No. 8 cotton to hand quilt around each of the letters. 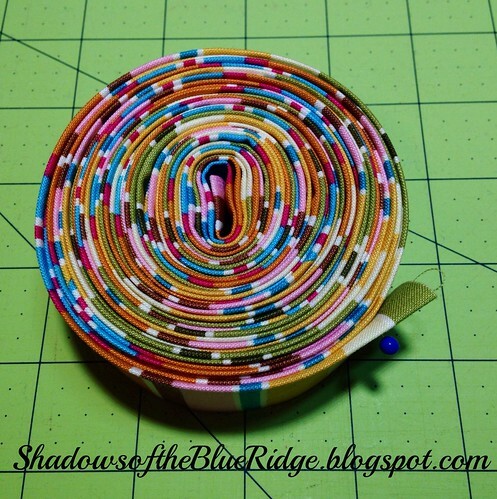 I am especially happy to have used this striped fabric for the quilt binding! I am often challenged for how to put large prints and stripes to use...especially one as bold as this. It really made for a nice binding and I think turned out to be a great use for this fabric. 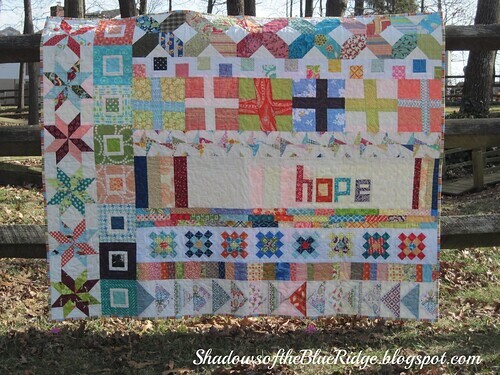 This quilt will soon be on it's way to Restore Innocence in Colorado. This wonderful non-profit group works to rebuild the lives of those rescued from human trafficking. 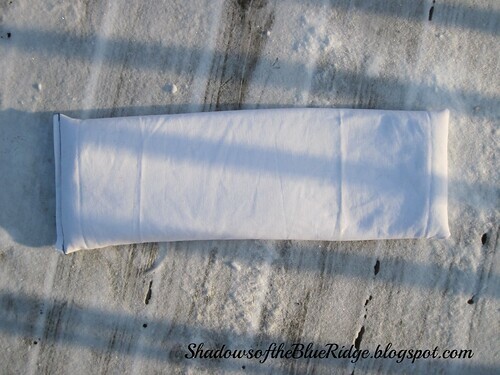 Don't you just love a soft, snugly-warm rice bag wrapped around tired shoulders at the end of a long day :o) We use rice bags a lot here at my house. 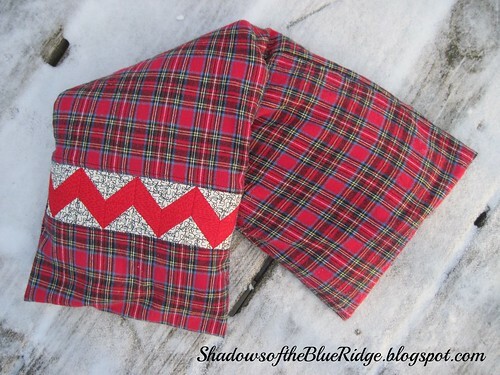 Over the Christmas holidays my dear friend made two nicely-sized rice bags for her family using a good sturdy fabric. As she was showing me her supplies I told her that I could make covers for them if she'd be interested. 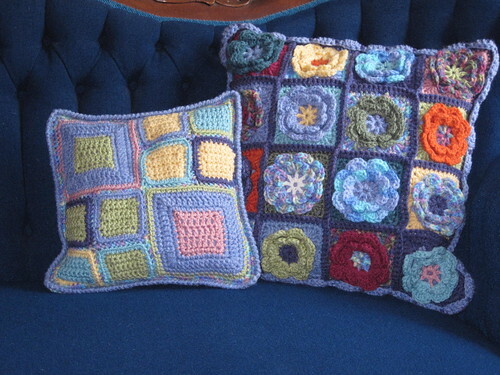 I just love fun projects that allow for small bits of creative expression. My friend picked out this wonderful red plaid (goodness I love plaid!) flannel to use for the covers. I prewashed the flannel just in case of shrinkage and looked through my fabric stash for some fun accent fabrics to add in. 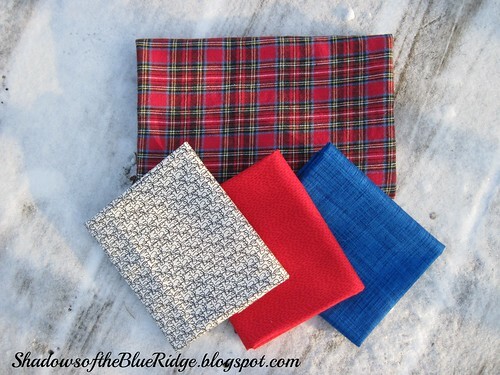 My choices include: Sew by Sweetwater, Rain in cherry by Timeless Treasures, and Dark Blue Color Weave by P&B Textiles. I wanted to add just a bit of fun to each bag. On the back I did a simple envelope closure. 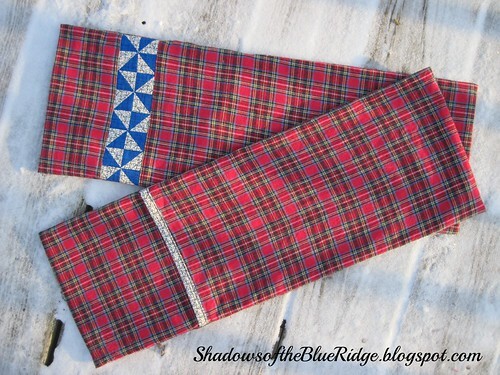 To guard against fraying I zigzag stitched all of the seam allowances. I'm so please with how these rice bag covers turned out! Final measurements for the covers are 8" x 22". I hope they will bring cozy comfort for a long time. What's up next? This is a questions I seem to always be asking myself. Sometimes I don't want to finish a project because of the void left behind once it's done. I have a deep need to always have something (or several somethings!) in the works at all times. Last night I finished working on a pair of crochet travel slippers to keep in my suitcase. I don't know about you, but I can't stand to walk around in a hotel room without something on my feet...especially on the always-cold bathroom floors! 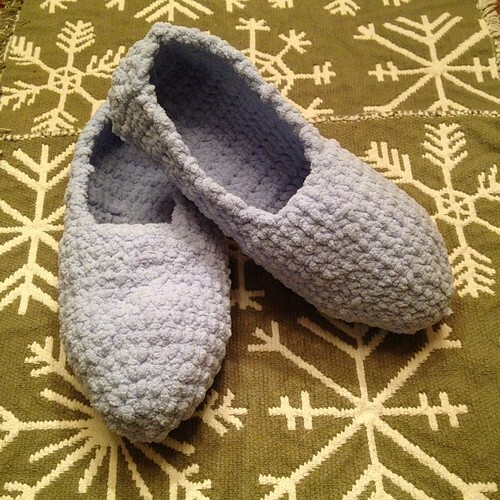 These slippers are an easy pattern by called Bernat's Super Value Family Slippers by Bernat Yarns and the pattern is a free download. 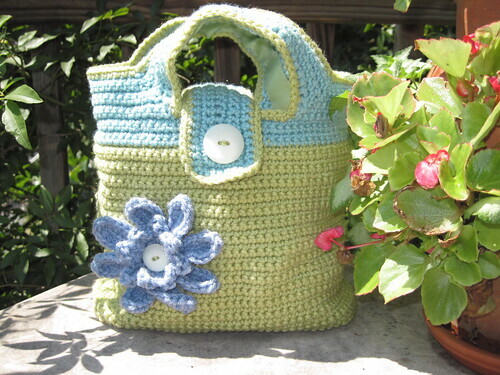 The pattern has sizing for adults-both men and women, and for children...very versatile! I've made several pair now using various yarns. If they are to be a gift I usually add a pretty crochet flower on top :o) This pair is for me and I'm not a frilly type of gal so I left them plain. 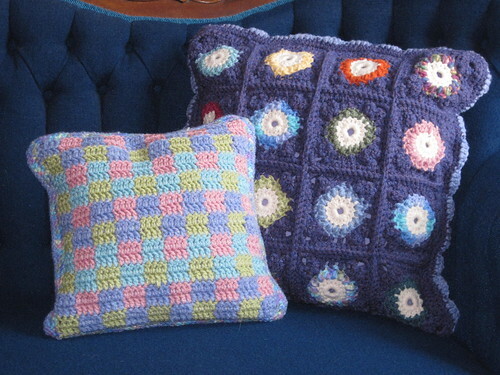 I love this super-cushy Baby Blanket yarn by Bernat! 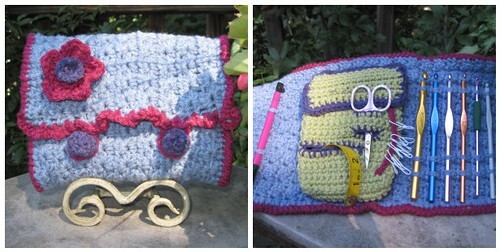 Next, I used up more of the yarn on this handy crochet hook/supplies case. 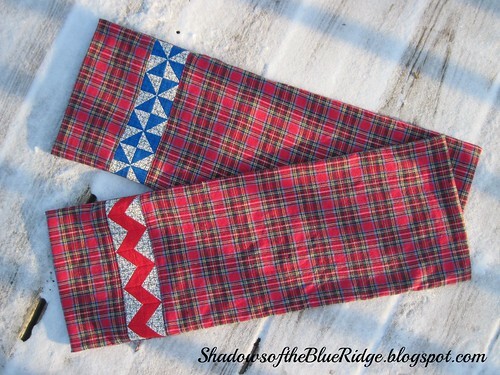 For all of the pattern and design links click here to go to my flickr post which includes all of the details in the photo description. 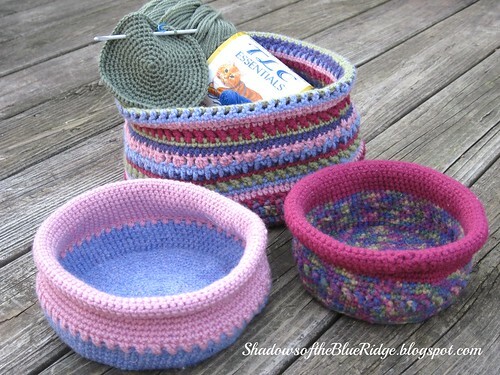 Finally, I've used a nice bit of the yarn up making storage bowls. These bowls are so handy for holding project supplies in my sewing room! I am going to try to make a dent in some of this sage green yarn by making another one of the large bowls. The large bowl is a free pattern called Al Fresco by Drops Design. The two small bowls begin using the base from Rainbow Nesting Bowls Kimberly of Seriously Daisies, but the remainder of the construction is my own design. So, that is what's up next for me...how about for you? 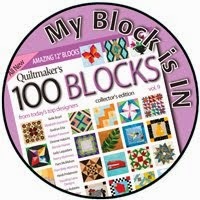 For quite a while now I've been mulling over joining a quilt guild. 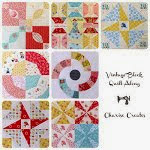 Here, where I live, in the heart of Civil War country, modern quilting is really not the vogue. 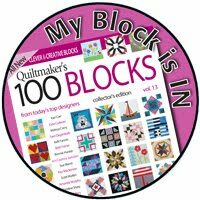 There are several traditional guilds in the area with lovely quilters which I am not opposed to joining. However, most of them meet on weekdays during the hours when I'm at school (I'm a teacher) so that makes involvement with them pretty much impossible. 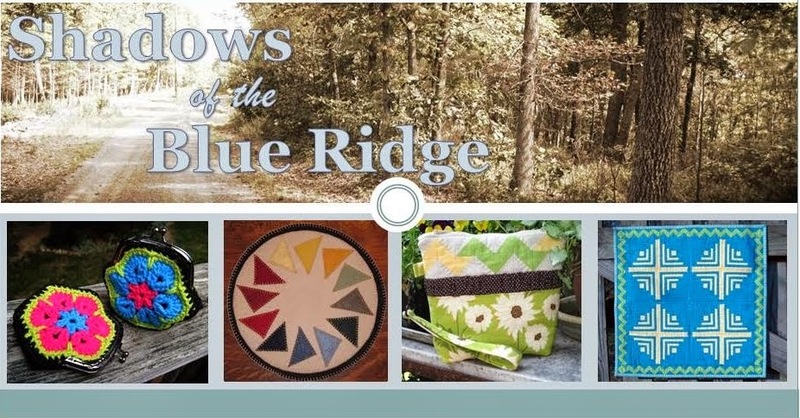 There is a modern quilt guild that meets about an hour+ from where I live (big Shout Out to the NOVA Modern Quilt Guild!) 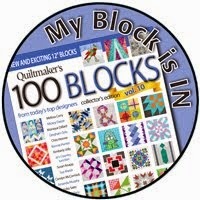 who is just now officially joining The Modern Quilt Guild...Exciting! But, distance can become an issue. 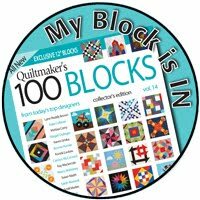 I've so enjoyed getting involved in the online quilting community and finding my little niche through flickr, instagram, and do. Good Stitches. 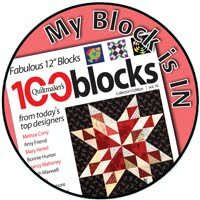 But, I would love to get to know some quilters in my own community and enjoy some face-to-face camaraderie. So...here's where the exciting news comes in! Yesterday I was talking to my friend, Kelley, owner of The Scrappy Apple quilt shop and we discussed trying to begin a guild for local modern quilters! We are aiming for an inaugural meeting the third Thursday in February. I'll keep you posted!! 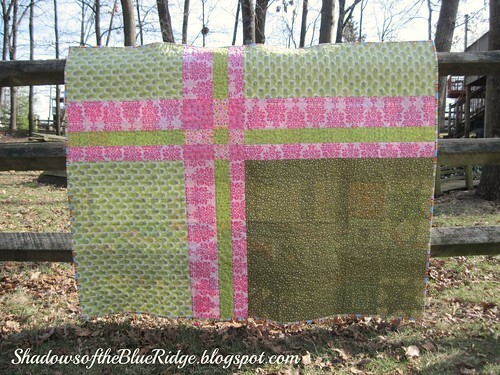 Now, since no blog post should be without picture, I'll include my latest picture of the Faith Circle Row Quilt for do. Good Stitches. 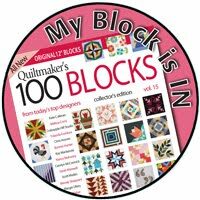 I just finished free motion quilting it in a meander stitch. 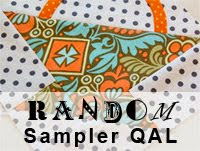 I am happy to say I actually enjoyed free motion quilting this quilt! Hooray!! It's taken several quilts for me to reach this comfort level and I'm so happy to get to this point in my skills! Next up is some hand stitching around the word "hope" with yellow #8 perle cotton. After that just the binding is left. Progress on the Faith Circle Row Quilt has reached the point of pin basting. 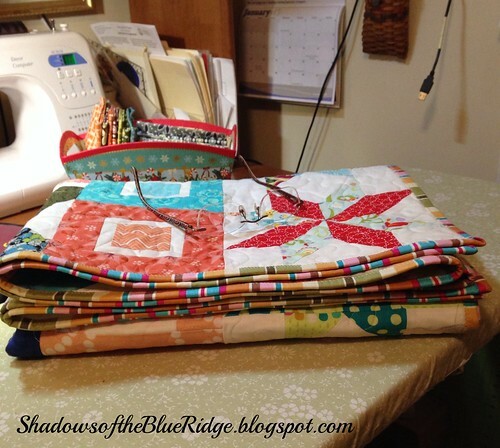 Wow so many pins are used in the process of basting a quilt! It can be pretty hard on fingers to close all of these pins as they are put into the quilt sandwich. I was wishing I had one of the tools people use to close pins. I've tried using a spoon in the past, but was not totally sold on that method. As I was thinking about this I tried to come up with something I might already have on hand to help close the pins. I got to thinking about the sharpener for my kitchen knives, but it was too large in diameter. Then, I thought of the awl-type tool I have for use with beads. it worked great! This is actually called a Bead Reamer and is used to enlarge and round out the opening in beads. However...it is also perfect for closing basting pins! The texture of the tool really makes it easy to use with the pins! It really helped to make quicker work of basting this quilt! Do you pin baste, and if so, how do you close the pins? With a new year comes the promise of fresh starts...and hopefully, for me, several finishes! 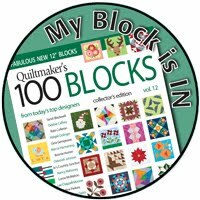 I've decided to jump on board with the wonderful group of quilters participating in A Lovely Year of Finishes as it fits right into what I've set before myself to accomplish. When I look around my sewing room I don't want to see so many unfinished projects...and so much fabric just sitting there. I just don't think these things lend themselves to being a good steward of the things I've been blessed with. Working out the measurements is not a strong area for me and I was a bit nervous I would get the back finished only to discover I'd made a mistake. I'm happy to report that I got all of the dimensions correct and now have a completed quilt back made entirely of stash fabric! I'd love to hear about something you've designed!